Alessandro Padoa's parents were Pellegrino Padoa and Pasqua Levi. The family was Jewish and Alessandro was brought up in the Jewish faith. He was educated at the Technical Institute 'Paolo Sarpi' in Venice, graduating from this high school in 1885. He began studying engineering at the University of Padua but then, for family reasons, he moved to the University of Turin in January 1889. Then in March of that year he moved again, this time to the University of Bologna. He returned to the University of Turin for session 1894-95 where he attended two courses given by Giuseppe Peano, one on the infinitesimal calculus and the other on higher geometry which made particular study of the geometric contributions of Hermann Grassmann. He was greatly influenced by Peano who was to direct Padoa's research. Padoa was awarded a mathematics degree from the University of Turin on 26 November 1895 and he continued to study at Turin for his Diploma in Mathematical Education which was necessary for him to become a high school teacher. He received the diploma on 20 June 1896 being awarded the highest grade. After graduating, Padoa became a secondary school teacher of mathematics following the advice of Enrico D'Ovidio, teaching first at the high school in Pinerolo as well as at the Technical Institute "Michele Buniva" in that city where he acted as a substitute for Carlo Vercesi. In 1898 he moved to Sondrio where he taught for a year at the Technical Institute, following which he went to Rome where he taught from 1899 to 1904 at the Technical College "Pietro della Valle". Moving on again, he spent two years teaching at the Nautical Institute in Chioggia (1904-06), the following two years (1906-08) at the Technical Institute "Pietro Martini" in Cagliari, and then sixteen years at the Technical Institute "Vittorio Emanuele" in Genoa. His final move as a school teacher saw him remain in Genoa but become a teacher at the High School "Cristoforo Colombo" from 1924 until he retired in 1935. However, Padoa also gave many lecture courses at Naval Academy in Genoa including 'Algebraic Analysis' (1911-12 and 1913-14), 'Infinitesimal Calculus' (1912-13) and 'Further Mathematics' (1914-1930). He shared the 'Further Mathematics' course with Giuseppe Vitali, the two mathematicians teaching it in alternate years. (Before Padoa became a teacher at the High School "Cristoforo Colombo" in Genoa, Vitali had taught there from 1904 to 1923.) In 1932 Padoa was appointed as a lecturer in Mathematical Logic at the University of Genoa and he held this post until 1936 when he reached the age limit for lecturers and was forced to retire. This was certainly not the first time that Padoa had attempted to leave school teaching and become a university lecturer; he had applied unsuccessfully for a lectureship in Mathematical Logic in 1901, a lectureship in Descriptive Geometry in 1909, and a lectureship in Theoretical Philosophy in 1912. After he was appointed at the staff of the University of Genoa, he taught courses on 'Mathematical Logic' (1932-34), 'Ideographic Logic' (1934-37), and 'Descriptive Geometry' (1935-36). Padoa became a member of the examination committee for the Technical College in the Sampierdarena district of Genoa in 1914. He was on the examination committee for the Matura, the Italian final secondary school examination, in Milan in 1924, in Modena in 1925 and in Imperia, Liguria, in 1933. Padoa also gave lectures at many philosophy and mathematics congresses. Beginning in 1898 he gave a series of lectures at the Universities of Brussels (1898), Pavia (1899), Rome (1900, 1901, 1903), Padua (1905), Cagliari (1907) and Geneva (1911). He lectured at congresses in Paris (1900, 1935), Rome (1908), Cambridge (1912), Livorno, Parma, Padua, Bologna (1911, 1928) and Florence (1937). We can now settle completely (and, we believe, for the first time) a question of the greatest logical importance. Mr Padoa did not get beyond this definition, possibly because he had entered so minutely into the details of the proof of the independence of the seven postulates that he had exhausted his allowance of time. ... among the most interesting personalities present. Various scientists from all countries who have adopted the ideographic logic believe that it is refined and completed today. M Padoa - previously my distinguished student and now my colleague and my friend - has given to this subject, since 1898, a series of well-attended conferences in the Universities of Brussels, Pavia, Rome, Padua, Cagliari and Geneva, and has presented highly regarded papers to the Congresses of philosophy and mathematics in Paris, Livorno, Parma, Padua and Bologna. Continuing his work as a collaborator and adviser, M Padoa has led everyone to appreciate the simplicity and power of the ideographic language - which has given birth to a new development in deductive logic and a further analysis of the different branches of mathematics - and to consult profitably and easily the many books in which it is applied. The aim of this work seems to me to present it in a way which is clear, orderly, and complete: it contains the explanation of all the logical symbols, the study of their properties, analysis of their relationships and their reduction to minimum, due to M Padoa. Many examples, drawn from everyday language and scientific language, make reading the work more intelligible and more enjoyable, and well-chosen historical references trace the progress of these studies from Leibniz to the present. Finally, although it is fairly thin, this treatise contains everything we know about this science which is relevant to both philosophers and mathematicians. I do not hope to suggest to you the sympathetic and touching optimism of Leibniz, who, prophesying the triumphal success of these researches, affirmed: 'I dare say that this is the last effort of the human mind, and, when this project shall have been carried out, all that men will have to do will be to be happy, since they will have an instrument that will serve to exalt the intellect not less than the telescope serves to perfect their vision'. Although for some fifteen years I have given myself up to these studies, I have not a hope so hyperbolic; but I delight in recalling the candour of this master who, absorbed in scientific and philosophic investigations, forgot that the majority of men sought and continue to seek happiness in the feverish conquest of pleasure, money, and honours. Meanwhile we should avoid an excessive scepticism, because always and everywhere, there has been an elite - today less restricted than in the past - which was charmed by, and delights now in, all that raises one above the confused troubles of the passions, into the imperturbable immensity of knowledge, whose horizons become the more vast as the wings of thought become more powerful and rapid. This admirable exposition of the mathematical logic of Peano and his school was given in the form of lectures delivered under the auspices of the University of Geneva, and was published in the 'Revue de Metaphysique et de Morale' for 1912. It fulfils this purpose remarkably well. Logic, Padoa says, is not in a particularly fortunate position. On the one hand, philosophers prefer to speak of it without using it, while on the other hand mathematicians prefer to use it without speaking of it and even without desiring to hear it spoken of. The paper contains an outline of the fundamental ideas introduced into logic by Peano, together with examples illustrating how the distinctions Peano drew remove confusions and paradoxes. Padoa was also a well-respected contributor of papers on the teaching of elementary mathematics and on mathematical education. The topics which interested him were extremely wide with his contributions ranging from regular polygons to magic triangles and from the theory of fractions to complex numbers. He played a major part in the journal Mathesis of the Italian association of mathematics teachers from its founding in 1895. The journal was mainly concerned with discussing details of mathematical subjects taught in school rather than with pedagogical issues. 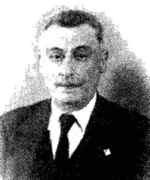 He published the book Matematica intuitiva Ⓣ (1923) and important papers on the training of high school mathematics teachers. Padoa was invited by Guido Castelnuovo to participate in the International Commission on Mathematical Instruction founded at the International Congress of Mathematicians at Rome in 1908. He submitted a major report in 1912 to the Commission making suggestions regarding the training of school teachers and the teaching of mathematics in primary and secondary schools. In 1934 Padoa was awarded the mathematics prize of the Accademia dei Lincei and in the following year he was presented with a prize by the Royal Academy of Italy. Finally we note that Padoa married Elisabetta Padoa (born at Bologna on 30 August 1870), the daughter of Felice Padoa and Ginevra Vivanti: they had three children, Baldo (born at Turin on 13 December 1893), Gino (born at Pinerolo on 8 February 1898) and Giovanna (born at Bologna on 14 October 1901). Padoa was a man of broad cultural interests including art, poetry and politics. He was active in the Jewish community of Genoa and followed closely the events of the Zionist movement. He died from heart disease at the age of sixty-nine.